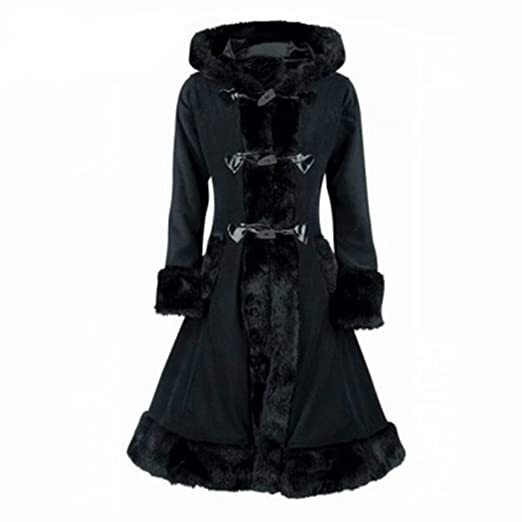 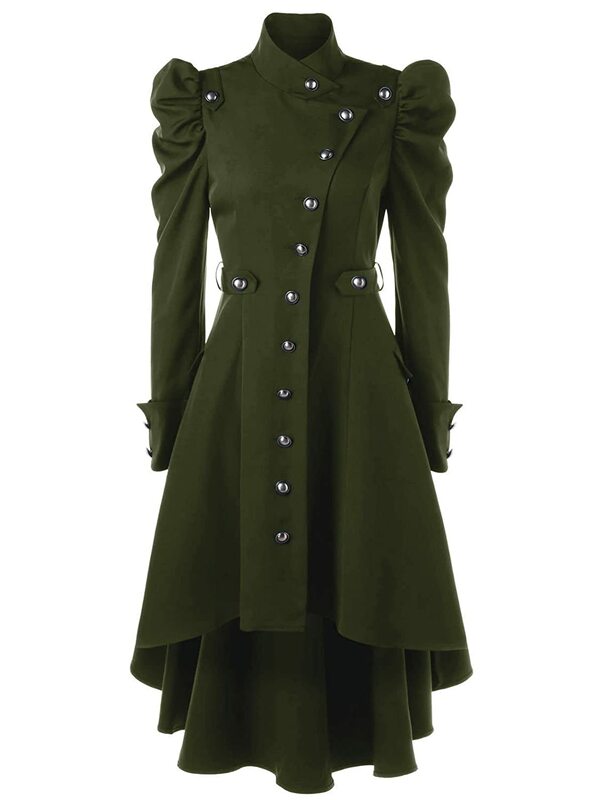 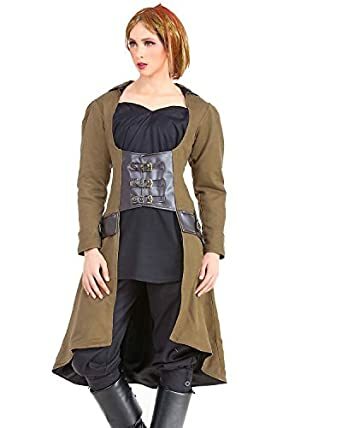 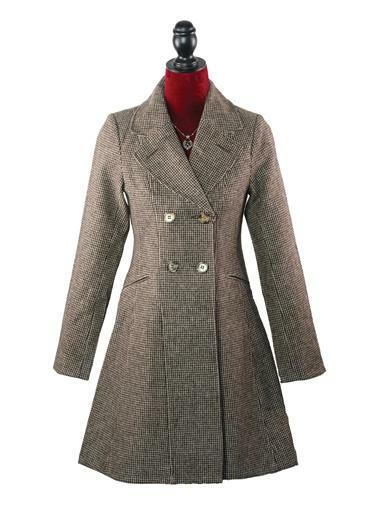 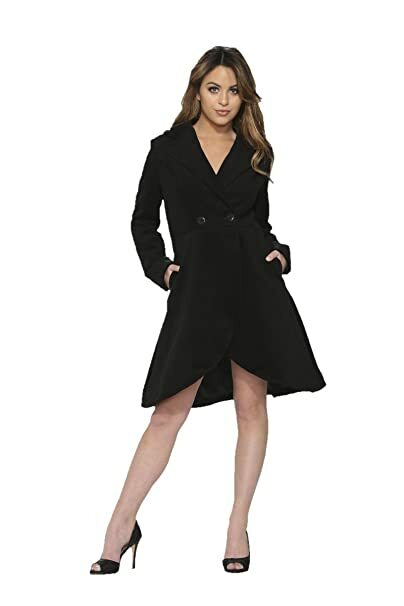 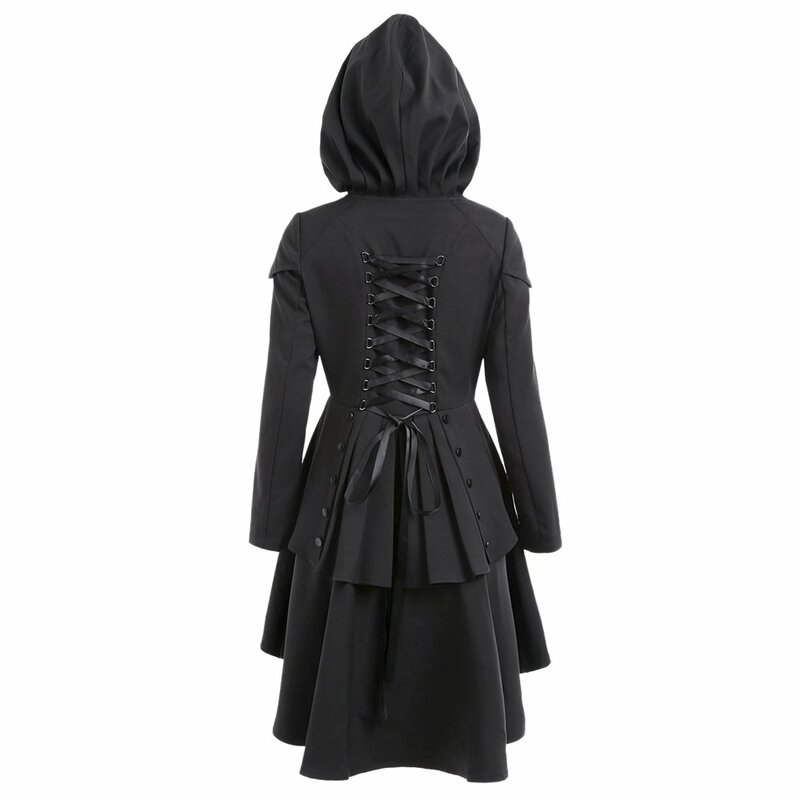 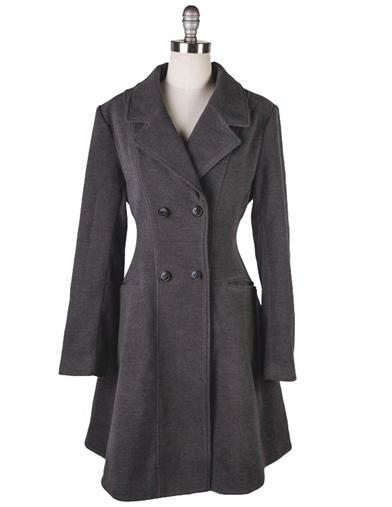 For winter weather and just because they look awesome, a long Steampunk coat or Steampunk jacket is just the thing to add to your Steampunk costume. 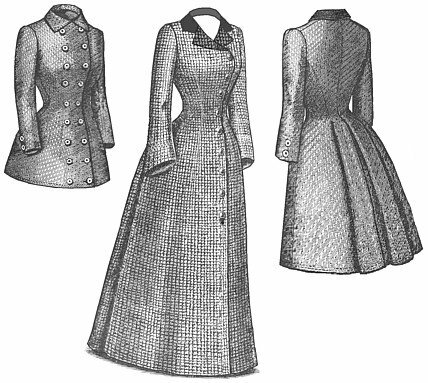 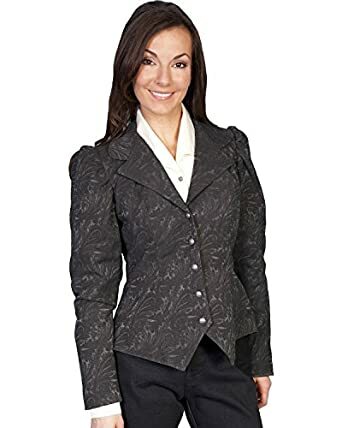 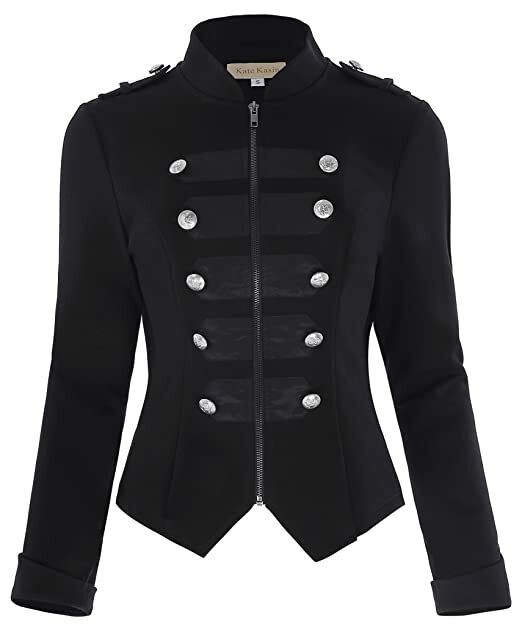 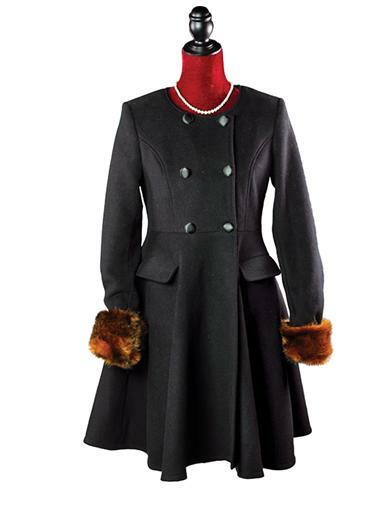 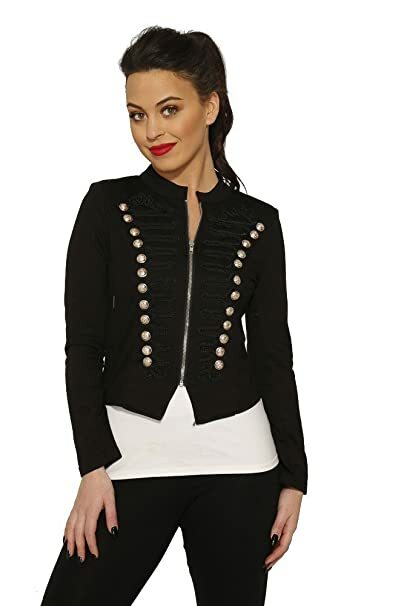 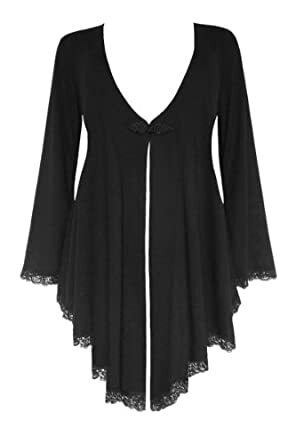 Fitted jackets with a Victorian-inspired design are classic and timeless while military or punk jackets with buckles and gears scream Steampunk fashion. 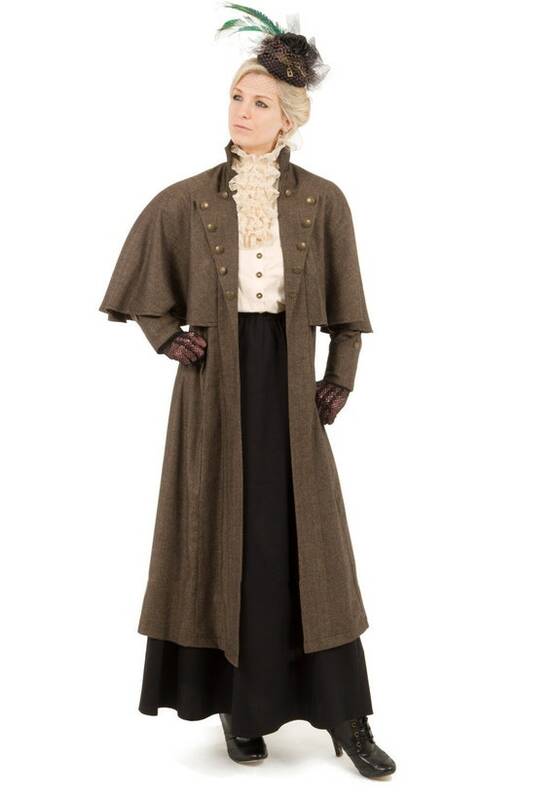 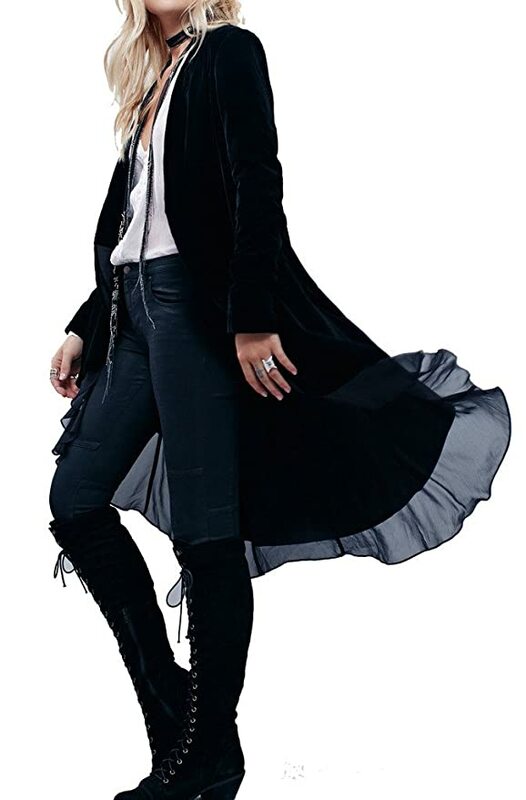 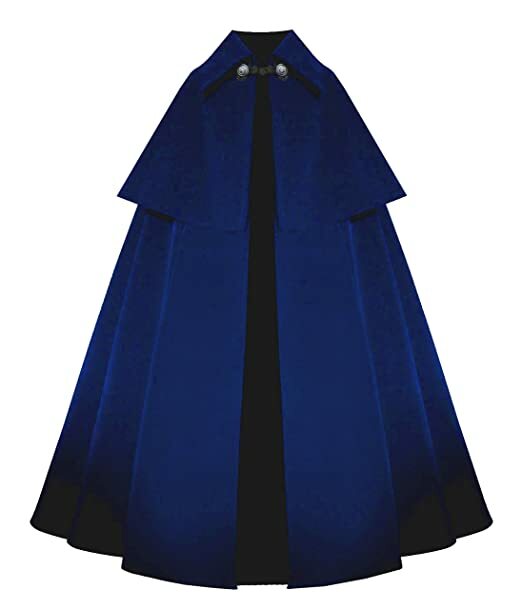 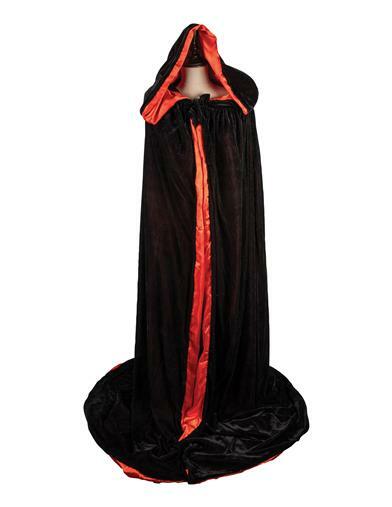 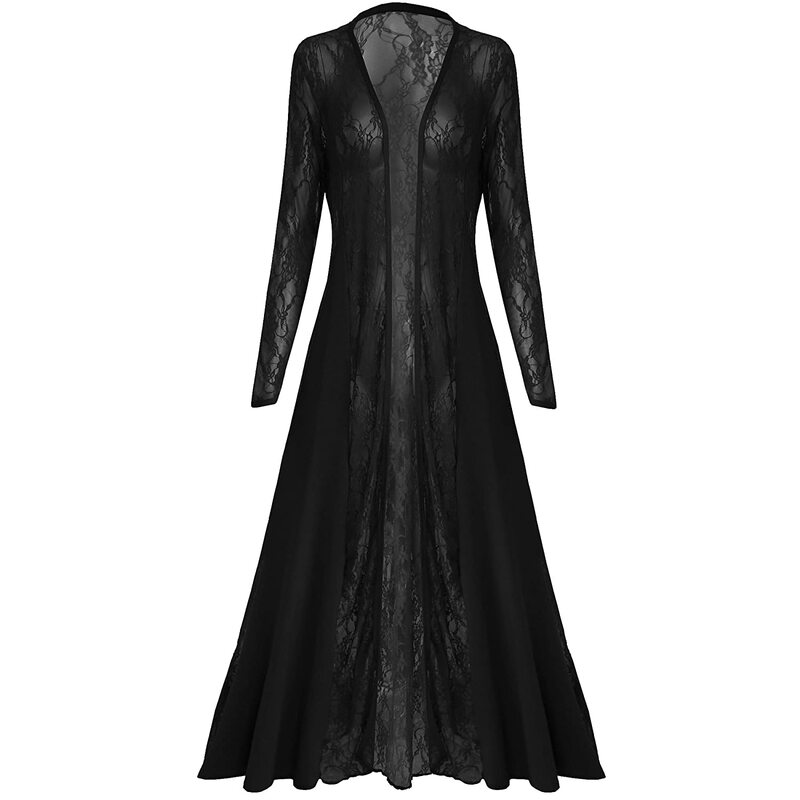 The long Steampunk overcoat brings out the gothic side while a Steampunk cape with a hood sets the stage for a time-traveling adventure. 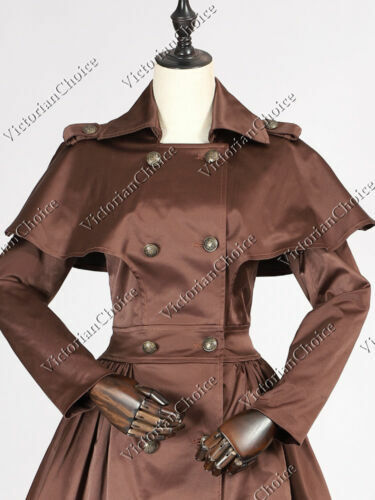 Shop all Steampunk coat and jacket styles with this collection of our favorite styles and brands online. 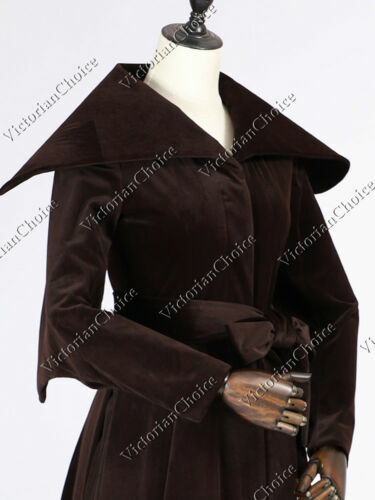 Add a Victorian/Steampunk blouse and other clothing using the menu at the top. 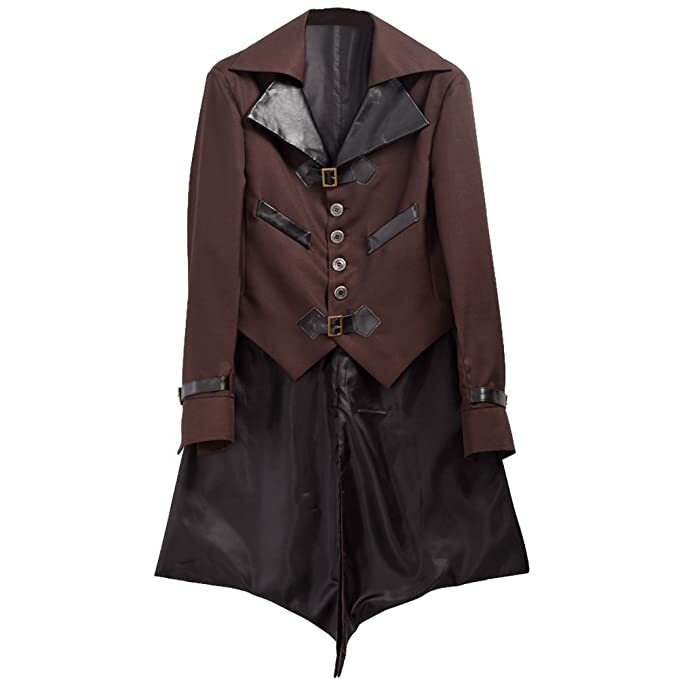 Shop Men’s Steampunk jackets here. 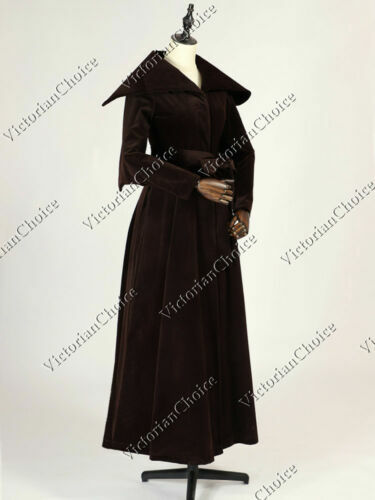 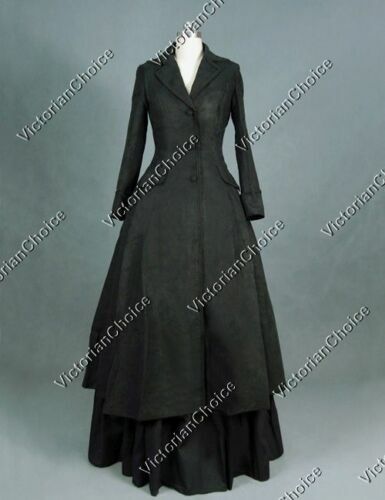 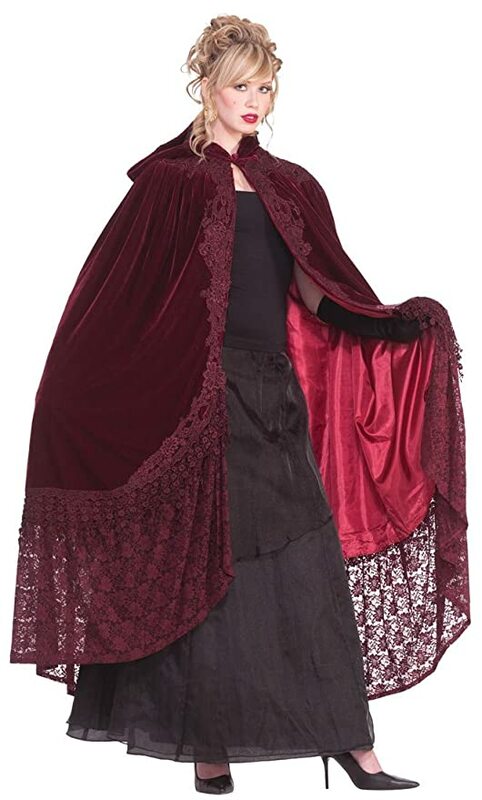 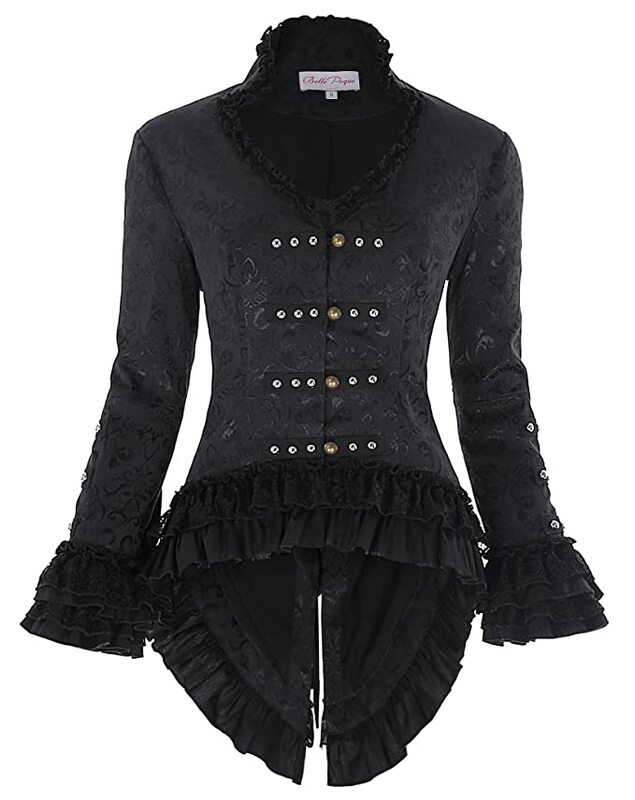 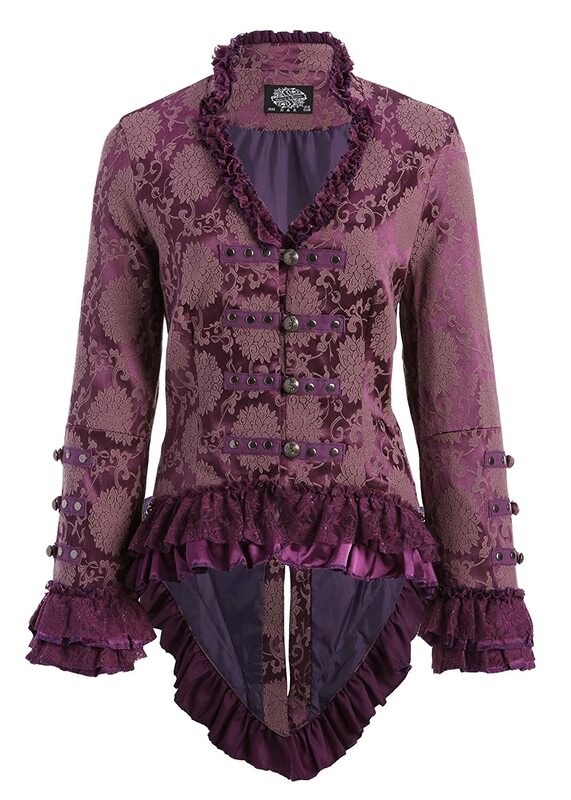 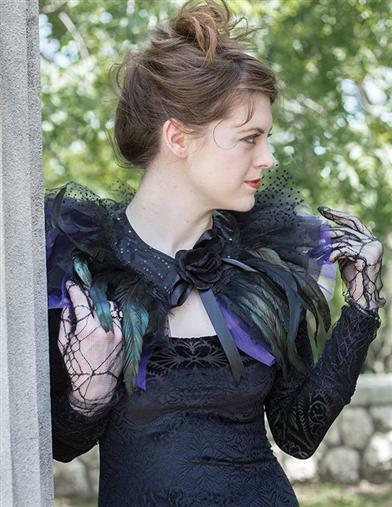 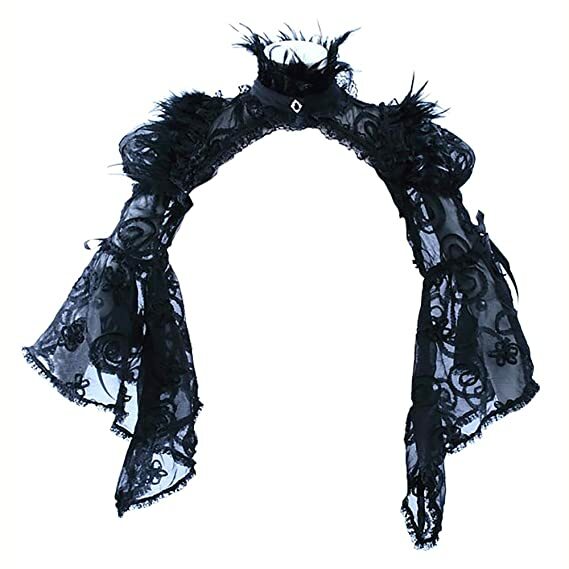 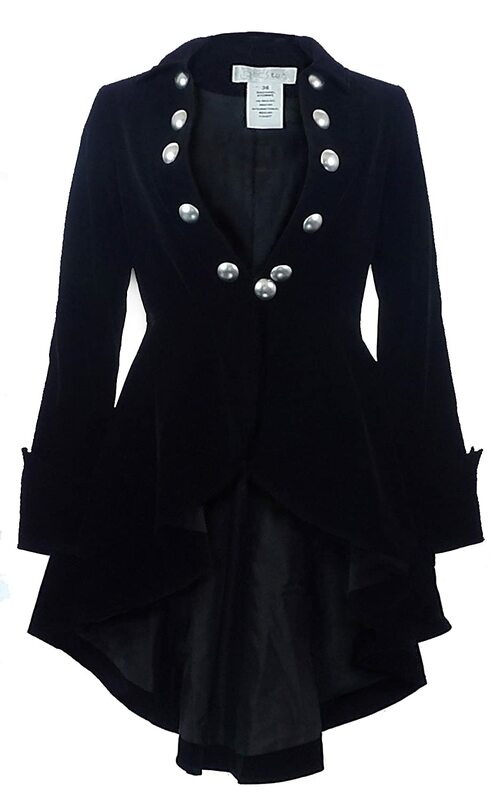 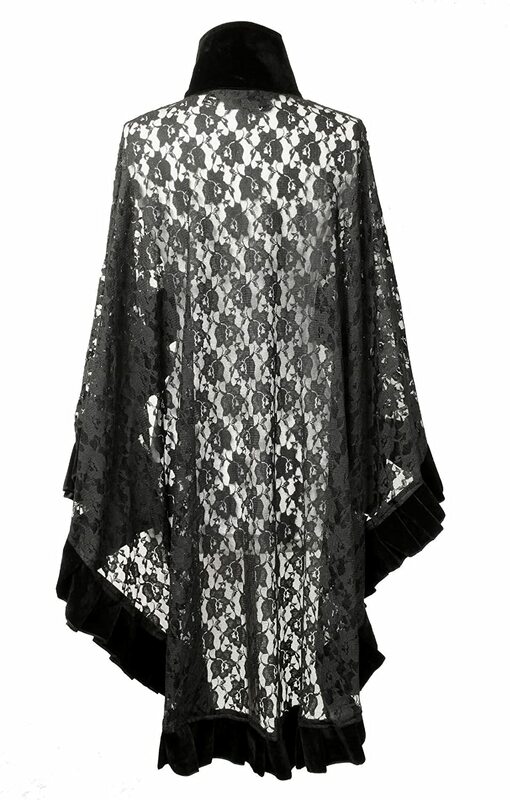 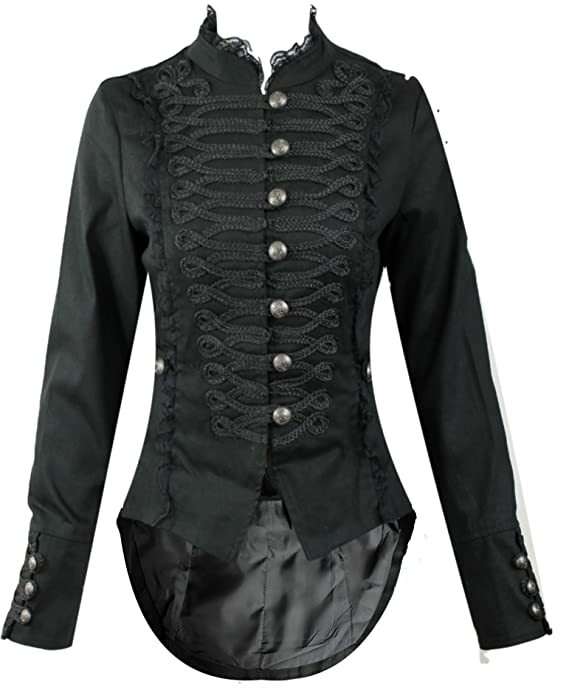 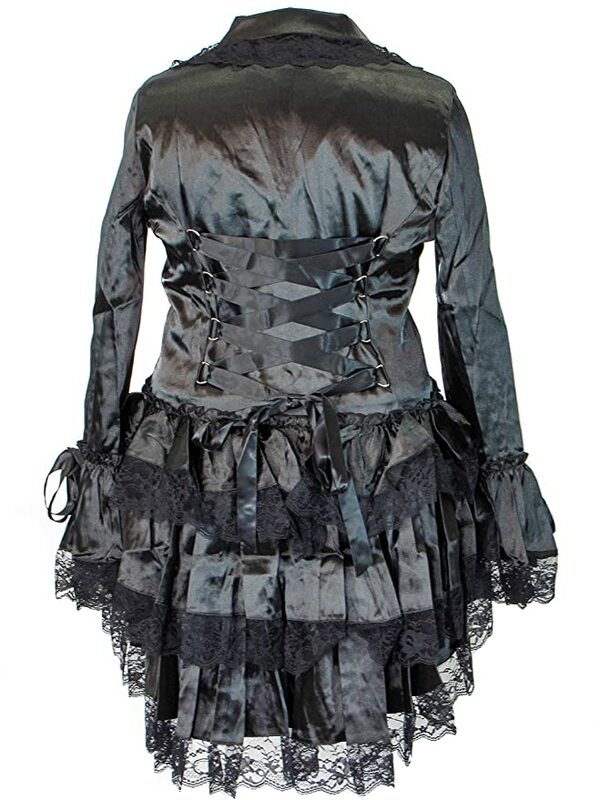 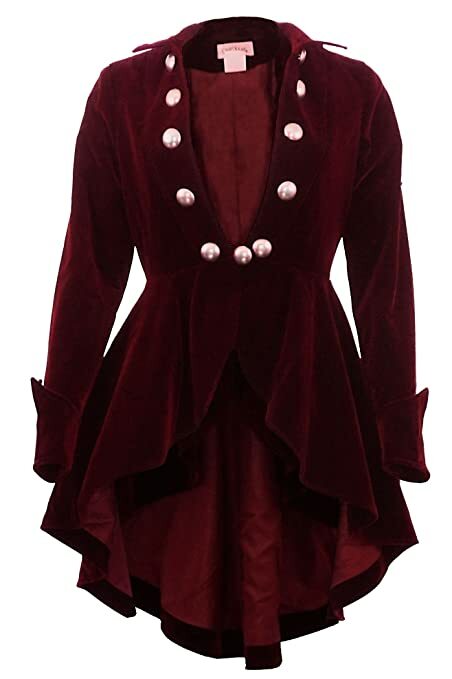 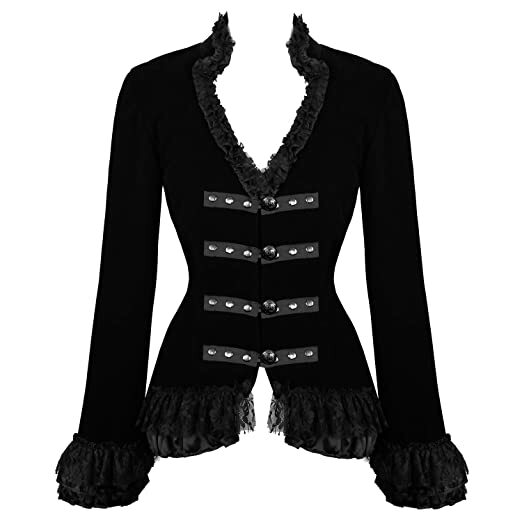 -The Velvet Wine Waterfall- Victorian Gothic Ruffle Style Jacket-USA Stock!